Welcome to Historic Franklin and the Unique Communities of Williamson County, Tennessee. 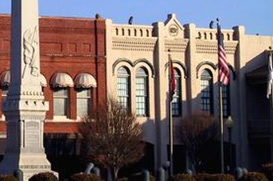 Named to Southern Living’s “Best Small Town” top ten list, Franklin is a charming suburb of Nashville, Tennessee. Experience a beautiful blend of upscale urban development and cultural history rich with hip places to shop and eat as well as historic attractions that tell the story of the Civil War’s Battle of Franklin. Franklin’s quaint downtown offers a Great American Main Street experience and boasts everything from Starbucks to locally owned antiques, trendy boutiques, and restaurants, in a pedestrian-friendly setting. Just 20 miles from Nashville International Airport and from downtown Nashville, Tennessee, Historic Franklin and the unique communities of Williamson County.